The revolution in Naples had military leadership. Although their interests had been safeguarded in 1815, many of Murat's officers felt that they were being unjustly discriminated against in promotion. The rivalry of Carbonari and Calderari had led almost to civil war in some regions and this focused the soldiers' sense of grievance. The lodges of the Carbonari formed a link between them and the middling landowners who ran most of the lodges. In so far as they were defined, the aims of the Carbonari were limited monarchy, administrative reform, the continuation of the assault on feudalism and the abandonment of mercantilism. Occasionally there were hints of a more active Carbonarist interest in land-reform. In 1820 the soldiers and Carbonari suddenly came together because of circumstance; in the long run this was a source of weakness but it produced the Neapolitan revolution. In Naples the repressive measures of the regime reached a climax in May and June 1820. In Spain there had been a successful revolution in January and for the moment it did not look as if the powers were going to intervene there; perhaps, then, there was reason to think they would not intervene if a rising took place in Naples. Spain was also connected with Naples through Ferdinand. He had a claim to the inheritance of the Spanish throne; to maintain his rights there he had taken an oath to maintain the 1812 constitution and, if he could do this in Spain, why could he not also swear to uphold a Neapolitan constitution? On 2 July there was a mutiny in the garrison at Nola, and the local Carbonari supported it. The garrison at Capua joined in the next day and General Guglielmo Pepe assumed the leadership of the rebels. The government soon gave in and promised a constitution on the Spanish model. A new ministry, consisting of former sympathisers with Murat, was set up, but contained no members of the Carbonari; this was important, for the lodges were the only effective popular or semipopular support available to liberals. Pepe was the only real link between the ministry and the Carbonari. It was not surprising that the Neapolitan revolution should have been followed a week later by a Sicilian separatist rising. Its disorders soon alarmed the possessing classes in the island, which was paralysed during the summer while the revolution was contained by the aristocracy and members of the corporations. The rebels were weakened by the rivalry of Palermo (where the original outbreak had taken place) with Messina, and they finally capitulated in September. When, on 1 October, the new parliament met at Naples it contained no Sicilian deputies. It supported a Carbonarist ministry deluded by the belief that Great Britain would, if necessary, intervene to protect Neapolitan constitutionalism and by confidence in Ferdinand's word. Unfortunately the attitude of Great Britain towards intervention was that it was not objectionable if Austria acted alone. 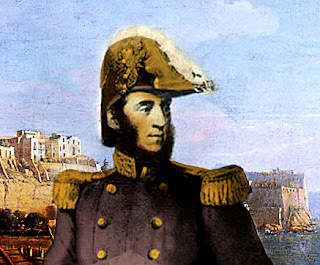 After the preliminary protocol of Troppau, Ferdinand lied himself into being allowed to present the Neapolitan case to the allies and, as soon as he was safely at Genoa on a British cruiser, disavowed all his concessions. He asked formally for assistance at Laibach. The Neapolitan government had been much weakened militarily by the absence of many of their soldiers in Sicily, and morally by the split which now divided the Muratist officers from the Carbonarist politicians. General Pepe was defeated by an Austrian army which on 23 March entered the capital. The restoration had been accomplished quickly and not very bloodily. Afterwards only two liberals were executed although many went into exile. In May an amnesty was offered to all except the original mutineers. The revolution had failed because of the divisions among the revolutionaries themselves, because of the distraction of the Sicilian revolt (which gave its last kick at Messina in March 1821), because of its lack of agreed aims, because of Ferdinand's duplicity, but above all because the powers acquiesced in the use of the Austrian army against it. Had the revolution succeeded, it might have blocked the way to unification by creating a constitutional state with a particular interest in survival. By failing, it contributed powerfully to the mythology of the risorgimento and to the growing number of exiles. Above all, it clearly associated Austria with the preservation not merely of a divided Italy but of anti-liberal governments. The Austrian army remained at Naples until 1827.